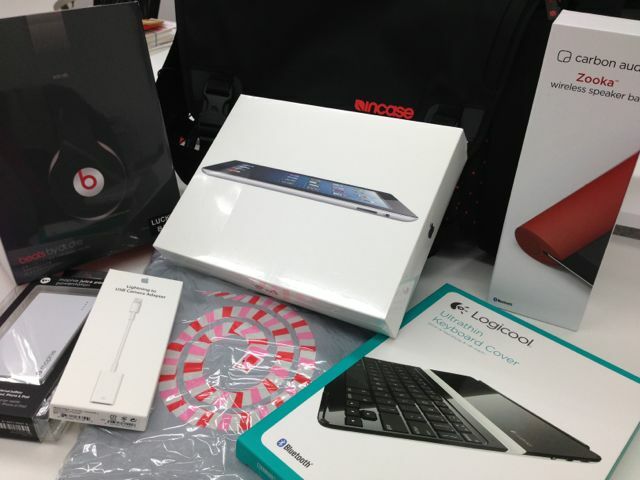 The coming of a New Year in Japan means not only a lot of tweets (Japan and Korea notched the most messages on Twitter) but also the latest batch of ‘lucky bags’ for Apple fans in the country, as Tech In Asia reports. To recap, lucky bags (known as ‘Fukubukuro‘, 福袋, in Japanese) are not unique to Apple and most retailers in the country offer shoppers the pre-sealed ‘lucky dip’ bag that are bought for a fixed amount. The bags are packed with a random assortment of goodies that are unknown on purchase. Customers hope that the total sum of what’s inside is worth more than the cost of the bag — which, in Apple’s case, is 33,000 yen ($380). 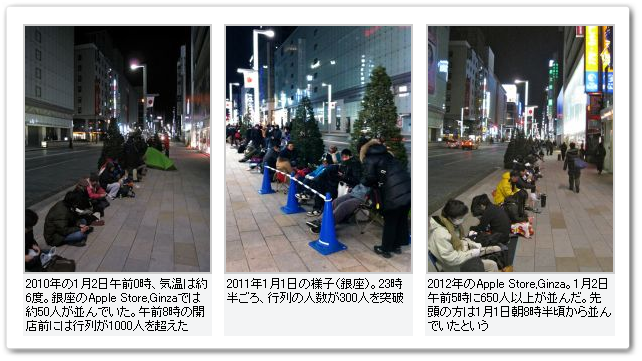 Like last year, Apple fans in Japan have turned out in numbers with the hope of grabbing goodies. The loot sometimes include MacBooks, iPads, iPhones and other top-line goods, and bags are sold in seven stores across the country. Indeed, Tech In Asia points us to one of the editors at Japanese Apple blog Appbank, who got his hands on a 16GB, WiFi iPad. In total, the contents of his bag came to 95,000 yen (which is almost $1,100) — that’s a nice way to start the New Year, for sure. The event is hugely popular in Japan — quite understandably — and queues gathered early, as has been the case for the last three years as images via Ascii show. MacoTakara also has this video (we’ve skipped to when the action gets started). The festivals attracts huge numbers of people, as you can see, so it is no surprise to hear reports it had sold out by the early morning. I know I’m not alone when I say that most people would love to see a similar lucky bag scheme introduced outside of Japan. What’s not to love about a bargain anytime of the year…especially in the New Year…and especially for tech goods.